The Hyde Park Barracks is a Sydney based museum belonging to the Historic Houses Trust. 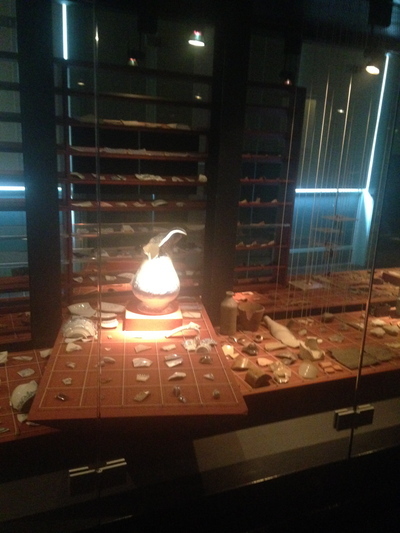 It is a popular hub to discover more about the foundations of Sydney. 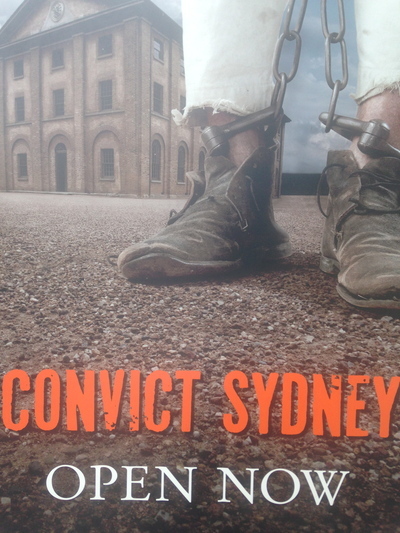 Sydney was founded by convicts, and this museum was home to many convicts from 1819. 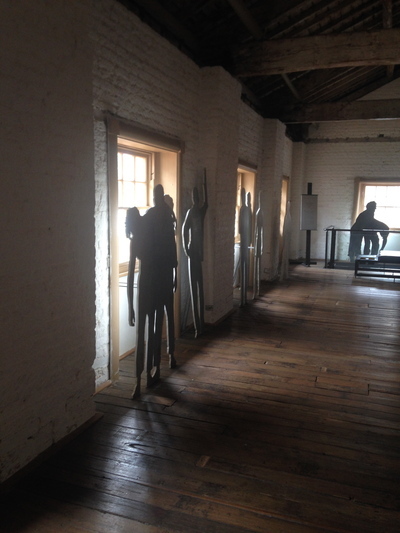 The top floor of the barracks was where the convicts slept from 1819 to 1848. From 1848 to 1886, this space was used as an immigrant depot and asylum. Prior to becoming a tourist museum, the Hyde Park Barracks was then home to courts and various Government offices in Sydney's legal precinct until 1979. From 1979 onwards, the Hyde Park Barracks became a museum spread over three floors. 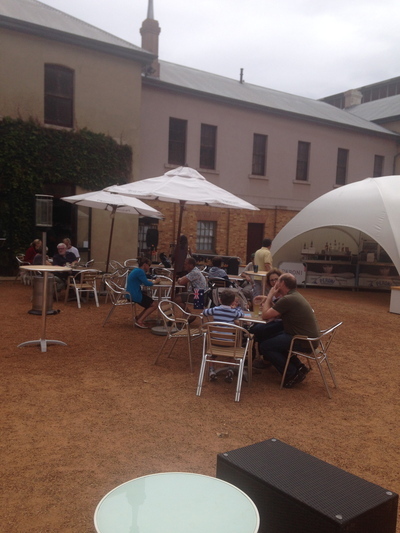 This establishment is known to be a world heritage Australian convict site. There were plans back in 1904 to demolish the barracks. A proposal was lodged to enable the Hyde Park Barracks to become a museum in 1935. This museum was re-constructed by the Public Works Department from 1980 - 1984. There is a cafe outside, and is situated right next to The Mint on a Street named by a New South Wales Governor who owned this property before it became a museum. At the main entrance, there are a few sentimental souvenirs of Sydney available for purchase, and if you want to listen to audio recordings on a self guided tour of the museum - this facility is available at reception when paying your entry fee. 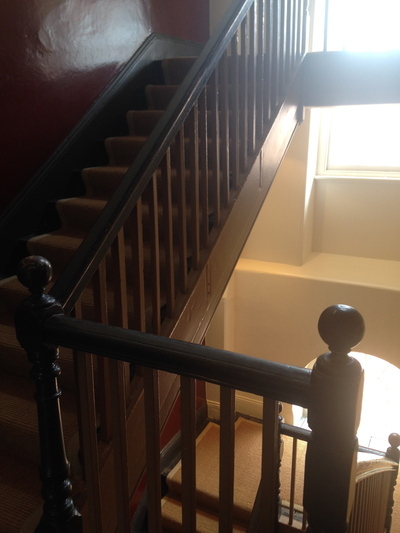 On the first floor, expect to see some history gems from Francis Greenway. He is a builder by trade, and was transferred to Australia under Governor Macquarie's employ for the crime of forgery. His gallery occupies the entire first floor of this museum. Walk up some old school stairs to level two, where some interesting histories on the penal colony is covered. 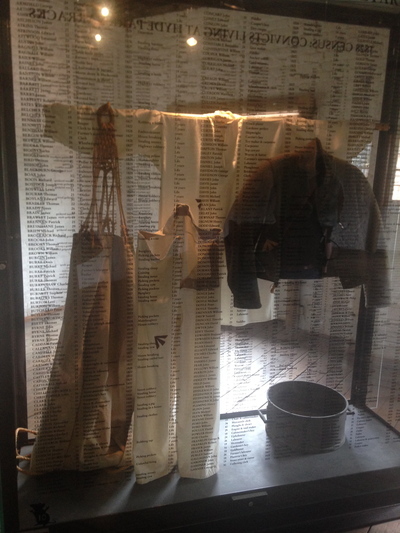 There is ample information to read, in tandem with some visual displays of the clothes the convicts had to wear. The history behind Lucy Hicks makes way for an interesting read on the asylum period. Take in the ambience, and continue to do so as you head up the stairs to level three. Level three of this museum today was exactly where the convicts lived. Francis Greenway assisted in the construction of this space from 1817, ready for some convicts to move into this space in 1819. 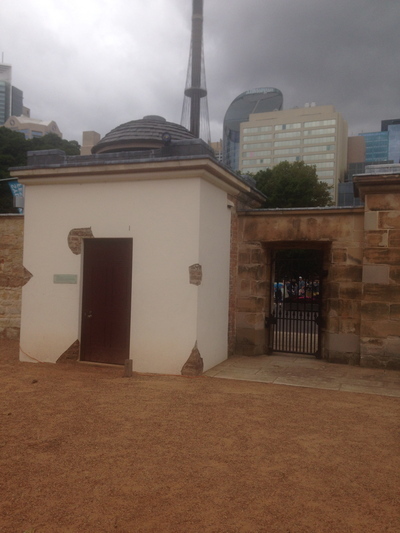 The names of all of the convicts who lived in this space is also available at this museum. Their crimes are also mentioned. When you really get present to the top floor, you can use your imagination to really discover what it would have been like for these men to live here. 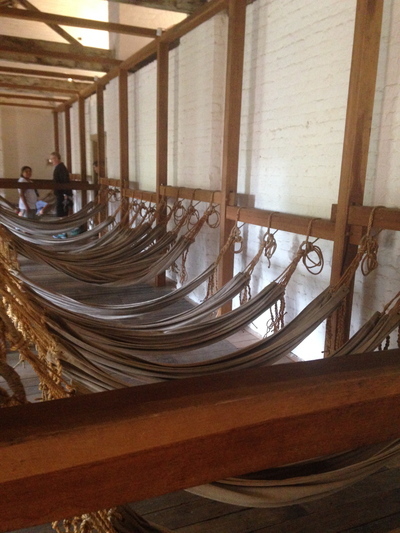 You see an abundance of hammocks. Many attendees sit in one for a moment, imagining how uncomfortable it would have been to sleep in one of these. You get a feel for the rules the convicts had to adhere to. All five senses can get involved in this space. 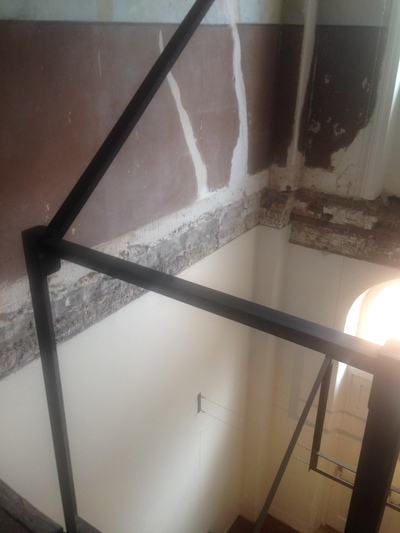 Although the walls, stairs and floors of this museum have been restored; a touch of history is alive and well during these times. 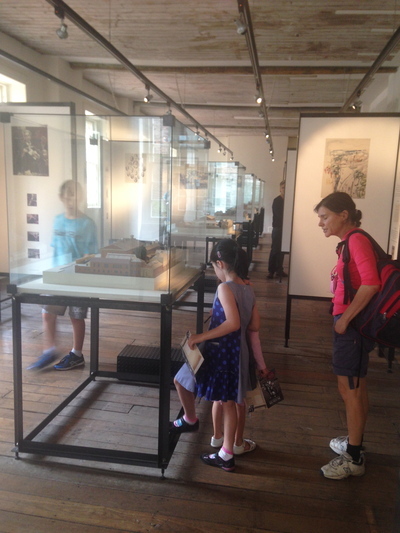 Adults receive half price entry if visiting the Hyde Park Barracks Museum on Australia Day. Where: Queens Square on Macquarie Street. When: 10am to 5pm daily. This museum is closed on Good Friday and Christmas Day. Cost: Family $20 / Adults $10 / Child/Concession $5 / Historic Houses Trust members receive free entry.